We know that the religious holidays may turn to be in Italy the most authentic journey of the spirit. 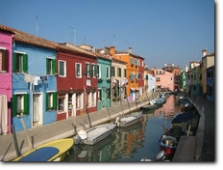 People usually may have different reasons to visit Italy: Rome, the eternal city and the Vatican masterpieces, Florence and the Italian Renaissance, Venice and its Lagoon, Pompeii ruins. All right. All beautiful and unique "stereotypes" making our Country the "Bel Paese" all over the world. Now, within these popular Italy travel there is a Christian Italy made out of religious traditions, customs and architecture that are the quintessence of the bimillenaire religious history of Italy. Everybody knows that the main Italian religion is the Roman Catholicism. On the other hand, not many visitors - not even most of the Italians... - know that the catholic St Francis, coupled with St.e Catherine of Siena, is the Patron Saint of Italy, or that we have tons of Sanctuaries - over 200 only in the Lazio Region - and Marian Shrines in Italy in every different Region. In particular, the catholic monastery of Sacro Speco and the one of Santa Scolastica in Subiaco were amongst the first to be built of the most ancient religious order in the Christian religion: the Benedictines. We selected some of the most remarkable ones: the Abbey of Montecassino (Lazio), the Sanctuary of St. Michael Archangel on Mount Gargano and Padre Pio di Pietralcina (Puglia), Loreto (Marche), St.Francis of Assisi (Umbria), Our Lady of Pompeii (Campania). 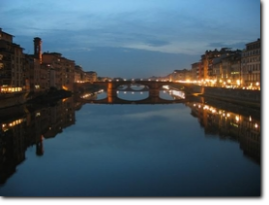 We are here to help those who are planning an Italy travel with the specific purpose of experience a deeper sense of the Roman Catholic Church in Italy. 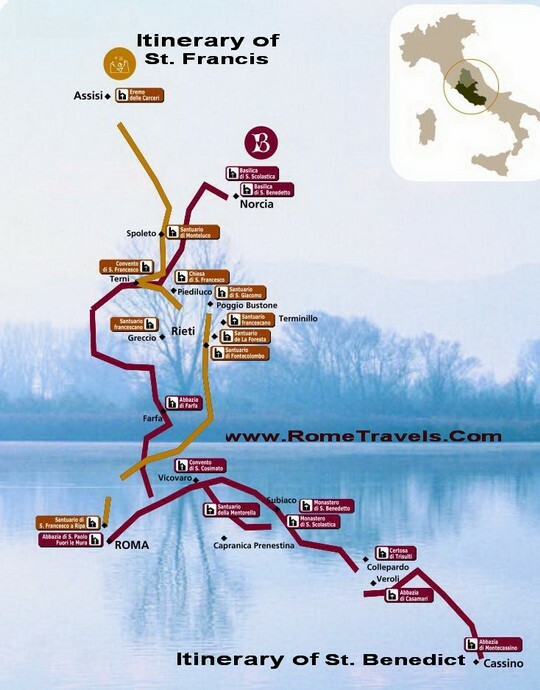 Rome Travels is also a guarantee in customizing a catholic pilgrimage through the most significant sites for a pilgrimage to Italy, or a pilgrimage to Rome, or both. 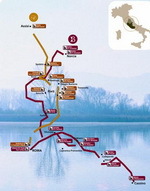 We are glad to continue to help travel agents, religious groups or individual pilgrims in explaining and locate the Catholic relics, commenting the catholic doctrine through the monuments of the Christianity, the history and the sites of the Catholic Saints in Italy: in other words, we are focused on Religious tours. Due to possible insight limitations, we highly recommend not to tour in a Catholic feast day, especially on Sunday. 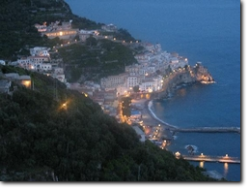 We want to help catholic pilgrimages in describing and proving all ground services in order to make memorable your Catholic Pilgrimage to Italy and thus customizing a specific Religious Holiday. 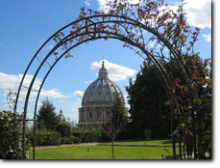 Rome Travels organizes tours dedicated to the memories of the catholic faith in italy: Religious tours, Pilgrimages, tour packages on request. We normally take care personally of our estimated visitors and groups following step-by-step your Religious vacation.